Any good writer knows that editing is a crucial part of the writing process. It turns a random stream of consciousness, which is actually a page-long sentence, into coherent prose. We all make typos and grammatical errors while writing. Editing polishes everything until the words flow like a sweet harmony off the page. Yet, no two writers edit the same. There are various editing styles, ranging from when one edits to how. Crying babies. Muffled conversations. Shuffling papers. Coughing, sneezing, and all other disturbances that only hundreds of people squished into a small, enclosed space can make. That is an airplane soundtrack. Someone asked me the other day how do I write a book review? 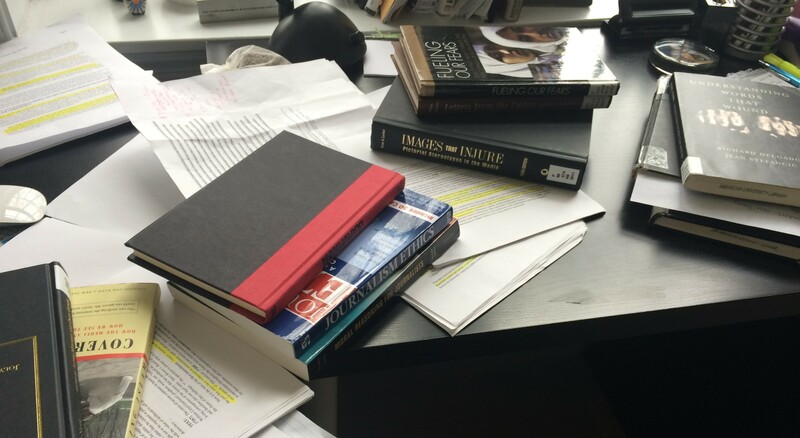 Sitting in the Stacks has been publishing since 2009, so writing a review now feels like second nature. It took me a moment to think of my reviewing process. How do I write a review? The reviews on Sitting in the Stacks that I would label my “best” all have two things in common – an emotional connection to the book and discussing more than the book’s content. Strategies and tools to overcome procrastination are plentiful. From time management schemes to new technological apps, everyone wants to combat procrastination. But what if procrastination actually helps you produce creative content? What if those hours avoiding the blank page contribute to that one beautiful line to trump all other sentences you’ve written? Athletes have their pre-game rituals. Performers have their pre-show regime. Writers have their spot. The writing spot provides focus and inspiration. It is the writer’s retreat from the world where words move from the imagination to the page. I think I can say with confidence that every writer has the spot even if it exist only in their mind, because location or money prohibit the imaginative spot from existing.